21-L, Gulberg III, near Model Town Metro Bus Station, Main Ferozpur Road, Lahore. 194/1, Street 13 Y Block, DHA, Lahore. 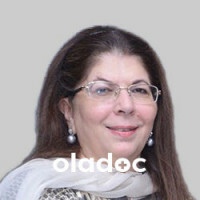 Dr. Fauzia Manno is a renowned andprominent Obstetrician & Gynecologist and Fertility expert in Lahore. Dr. Fauzia Manno graduated from King Edward Medical College, Lahore. She acquired her Membership (MRCOG) and Fellowship (FRCOG) from Royal College of Obstetricians and Gynecologists London, UK. Dr. Fauzia Manno has obtained immense teaching and professional experience while serving in several Hospitals in Pakistan and abroad. She is also a Fertility Specialist and remained associated with Royal Free Hospital, London as Laparoscopic Surgeon. In Pakistan, She has been appointed as Supervisor and Examiner by "College of Physicians and Surgeon, Pakistan" for training of Post graduate doctors for Fellowship Examination. Dr. Fauzia Manno actively participated and organized several workshop, seminars and meetings on Obstetrics & Gynecology and other health related issues at National and International level. 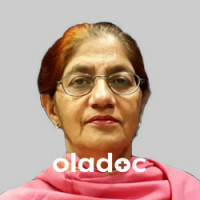 Dr. Fauzia Manno is currently serving as Professor of Obstetrics and Gynecology at Fatima Memorial Hospital and Medical College Lahore, Senior Consultant Obstetrician and Gynecologist at Lahore Health Care and Consultant Gynecologist & Fertility Specialist at Concept Fertility Centre Lahore.